Produces brilliant polished edges without polishing in as little as 3 seconds. seful to reseal drill holes to avoid crazing. Just wipe the edge of the lens and let dry for three minutes. 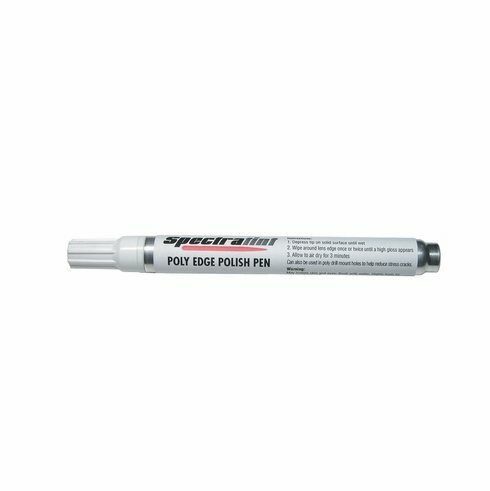 With proper usage pen should last for approximately 60-75 pair lenses.